TheSailingChannel.TV brings you all thirteen 22-minute episodes of Latitudes and Attitudes TV Video Series Season 3 with Bob Bitchin and co-host, Courtney Haas. 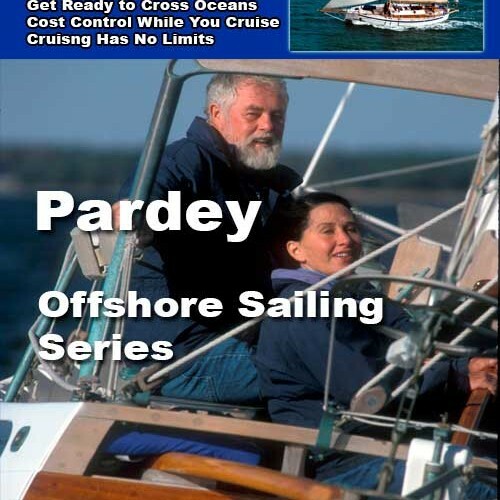 Feature stories take you sailing in the British Virgin Islands and Antigua in the Caribbean, Malta and Venice in the Mediterranean, the Marquesas and Tonga in the South Pacific, the Apostle Islands in Lake Superior, the San Juan Islands in the Pacific Northwest, and Catalina Island off the coast of Los Angeles, plus gear and boat reviews. Bob Bitchin’s Latitudes and Attitudes TV Video Series ran for five seasons making history as the first half-hour, 13 episode magazine-style sailing show on national cable television. In Latitudes and Attitudes TV Video Series Season 3, feature stories take you sailing in the British Virgin Islands and Antigua in the Caribbean, Malta and Venice in the Mediterranean, the Marquesas and Tonga in the South Pacific, the Apostle Islands in Lake Superior, the San Juan Islands in the Pacific Northwest, and Catalina Island just off the coast of Los Angeles. Plus gear and boat reviews. Click here to buy or rent individual episodes or the complete series through Sailflix Vimeo On Demand. Enjoy online viewing everywhere there is a Vimeo App: computer, tablet, smart phone, smart tv. When you buy a download you also get unlimited online streaming. You can also purchase using the episode trailers and descriptions below. Visit Sailorman, the world famous new & used sailing equipment emporium in Ft. Lauderdale, Florida. Miami Strictly Sail Boat Show — Bob checks out the Froli Sleep System, a series of interlocking springs that fit under your mattress and let you customize your sleeping preferences. Boat Review — Head up to Seattle’s Puget Sound where Bob reviews and test sails a Catalina 309. “Attitudes” — Bob relates his tales of sailing and how they impact life. Strictly Sail Chicago Boat Show — Bob checks out SailKote by McLube, an environmentally friendly, dry lubrication product that should be in every sailor’s kit bag. Sailor’s Quest with Chris Grimes — An introduction to a planned TV series that will gather wisdom from different cultures while sailing around the world. This is one of the first sailing video blogs now proliferating on Youtube. “Attitudes” — stories from Bob’s philosophy of sailing and life. Paul & Sheryl Shard of the Distant Shores TV show make a port stop at Vulcano, Italy and climb an active volcano. “Underway” photos from cruisers around the globe put to the music of Eric Stone. Strictly Sail Miami Boat Show – Bob checks out Mas Epoxies designed especially for marine structural and finishing projects. Boat Review – In Portland, Oregon we test a Hunter 36 on the Columbia River. “Attitudes” – Some pearls of cruising wisdom from Bob. Project Mayhem — sailors Brett Thompson and Mike Crawford are Marquesas Bound from San Diego. CA. Another example of one of the first sailing video blogs. Miami Strictly Sail Boat Show — Bob checks out Brait from Yale Cordage. This soft, flexible, anchor line dramatically reduces line storage in your anchor locker, offers an extremely smooth drop, significantly increases energy absorption, and remains soft and pliable with age. Sailor’s Quest — Chris continues his search for the perfect crew. “Attitudes” — Bob gives us his view. Dennis Gaffney aboard “Boat of No Worries” sailing to St. Michaels, a small seafaring town and one of the most popular cruising destinations on the Chesapeake Bay. Located along the mid-Atlantic, the Chesapeake is the largest estuary in the United States. “Underway” – cruiser photos set to the music of Eric Stone. Bob at the Miami Strictly Sail Boat Show learning about the American Sailing Association where you can learn to sail with confidence. “Attitudes” – In this segment, Bob recalls the first time he went sailing. World cruisers, Paul and Sheryl Shard visit the ancient city of Siracusa on the island of Sicily and go shopping in the local open air market. At the Miami Strictly Sail Boat Show, Bob learns about the latest is diesel engine technology from the folks at Beta Marine. “Attitudes” – Bob relates an anchoring story from his past cruise to the Society Islands in French Polynesia. Project Mayhem sails on to the Marquesas in the South Pacific. At the Strictly Sail Pacific Boat Show, Bob looks at Edson’s new Access Wheel that eliminates that squeeze to the helm and improves your steering experience in several other ways. In a segment of “Sailor’s Quest” the crew sails the Strait of Juan De Fuca, a 96 mile run that passes south of the San Juan Islands then on to the Pacific ocean. The international boundary between Canada and the United States runs down the center of the Strait. The crew discusses the conflict between the local native Makah peoples and animal rights activists over whale hunting along the Pacific coast. “Attitudes” – Bob tells the story of his visit to the “perfect island” in the middle of the South Pacific. The “Boat of No Worries” cruises down the Dismal Swamp in Virginia along the East Coast Intracoastal Waterway. It’s the oldest canal in the U.S., originally surveyed by a young George Washington. At the Strictly Sail Pacific Boat Show, Bob checks out low profile stainless steel hatches, port lights, and deck ventilators from Mariner’s Hardware. “Attitudes” – Bob explains how his Attitude changed a particularly uncomfortable passage from an ordeal into an adventure. Project Mayhem crosses the equator in the South Pacific and the crew celebrates Shellback status. After some rough seas, they spy land as they approach the Marquesas. At the Strictly Sail Pacific Boat Show, Bob checks out the WinchMate. Made of hard anodized aluminum, chrome bronze, and stainless steel this rugged unit converts conventional Barrient and Barlow winches to self-tailers. “Attitudes” – Bob describes his “best sunset” and the sailing experience that made it so. Paul and Sheryl shard demonstrate their anchoring technique as they cruise the coast of Croatia. They include some great underwater shots of setting their plow anchor on a grass bottom. After anchoring they go ashore to explore the hills that protect the anchorage and the network of stone walls that prevent the hillside from eroding. At the Strictly Sail Pacific Boat Show, Bob checks out a new product from Forespar. McLube Sailkoat Plus is sail coating that prolongs the life of your sails by reducing friction and chafing. It prevents mildew and water absorption keeping sails cleaner and lighter. It allows sails to furl much tighter, so you can carry a larger sail if you have in-mast or in-boom furling. Sailor’s Quest – After sailing down the Strait of Juan De Fuca to the Pacific coast, the crew talks with members of the Makah tribe about their philosophy of sustainable living and cultural heritage that they apply to whale hunting. They only take from the sea what they need. “Attitudes” – Bob reminisces about past voyages as he plans for new adventures. For more about Avalon and Catalina Island, see our video cruising guide, Cast Off for Catalina on Vimeo on Demand. Project Mayhem – The mountain peaks of the Marquesas jutting from the South Pacific ocean are a welcome site as the crew finally makes landfall after their 3000 plus mile sail from San Diego, CA. They take in the majestic landscape of this tropical paradise. At the Strictly Sail Pacific Boat Show, Bob checks out the Power Tiller. This tiller mounted system provides handy outboard motor shift, throttle, and electric start controls for boats up to 34 feet in length. “Attitudes” – Bob gives some advice about giving advice. Paul & Sheryl Shard of the Distant Shores TV show visit Venice, Italy. They shop in the local market, tour the sites and take a dingy ride along the famous canals. They also pull some engine maintenance. Sailor’s Quest – questions of romance arise among the crew. The “Boat of No Worries” continues her cruise down the Intracoastal Waterway through North Carolina. They make a shore stop at Elizabeth, NC, known as “the city of hospitality” and take in the unhurried experience of a gentle passage though remote marshlands and small villages as they continue south. Living Aboard – The Brosius family of four lives aboard “Ghost,” a heavily customized Formosa 51, in Seattle. See how this family with young children have adapted to the boating lifestyle.